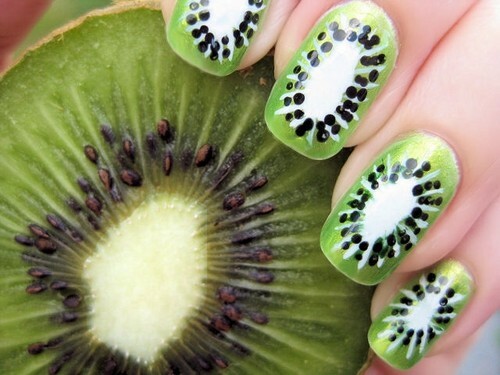 Nail art. . Wallpaper and background images in the 指甲，美甲 club tagged: nails art nails art nails ... fruit. This 指甲，美甲 photo might contain 猕猴桃, 中国醋栗, 中国枸杞, 猕猴桃猕猴桃, 中国猕猴桃, 猕猴桃, 猕猴桃藤, 中国枸杞, 中华猕猴桃, 猕猴桃葡萄, 中华猕猴桃猕猴桃, 维纳斯的捕蝇草, 捕蝇草, 金星的捕蝇草, dionaea muscipula, and 金星的蝇.